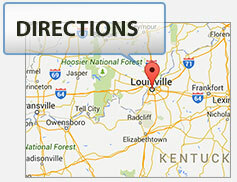 George Tunstall III, age 67, was killed while crossing Bardstown Road in Louisville, Kentucky. Tunstall was a pedestrian and trying to walk across Bardstown Road, just south of Fegenbush Lane when he was struck a vehicle traveling northbound. The accident happened at 6:30 p.m. last Friday. Tunstall was taken from the scene of the accident to University of Louisville Hospital where he died at 8:15 p.m. Tunstall lived in the Highlands. Initial reports state that Tunstall was not crossing the road at a crosswalk. Even though reports indicate that Tunstall was not crossing at a designated crosswalk, his family and Estate should retain legal counsel to look into what happened at this accident and what factors may have contributed to it. To the common person, it would appear initially that this accident was Mr. Tunstall’s fault. However, Kentucky is a comparative fault state, which means that even if a person were 99% at fault for an accident, they can still recover legal damages for the 1% that was not their fault. The percentages can very up to 100%. Our firm has represented persons and gotten legal financial recoveries for injuries and deaths related to people crossing roadways outside of crosswalks and/or designated crossing areas. In cases involving pedestrian accidents, it is important to look at why the victim was crossing where he/she was and what was the driver was doing at the time of the accident. Where the victim was coming from and going to is also an important factor. In any accident or death case, it’s important to immediately have legal counsel gather and preserve the evidence related to the case. Cases involving deaths are referred to as Wrongful Death Claims. Pedestrian have the right of way on roadways. Drivers have a duty to observe their surroundings and avoid accidents. Just because a person is where a person would not normally be and/or should not be, does not alleviate a driver’s responsibility for an accident. Many times, apportionment of fault becomes an issue, where an injured person or the Estate of a person killed can seek a percentage of damages related to the injury, accident or death. The monetary recovery for the injured or killed depends on the circumstances of the accident. If you or a loved one has been injured or killed in an accident involving a motor vehicle, contact the Ackerson Law Firm for a free consult about your legal rights and what justice you or your family may be entitled to. You can call us directly at (502) 882-5176 or email Kentucky Injury and Wrongful Death Attorney Brent Ackerson at by clicking here.